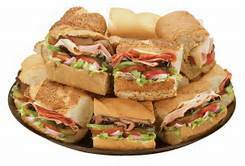 Lenny’s Grill & Subs Restaurant For Sale in the Greater Houston – Texas region for $59,900! Seller financing available with $30,000 down. 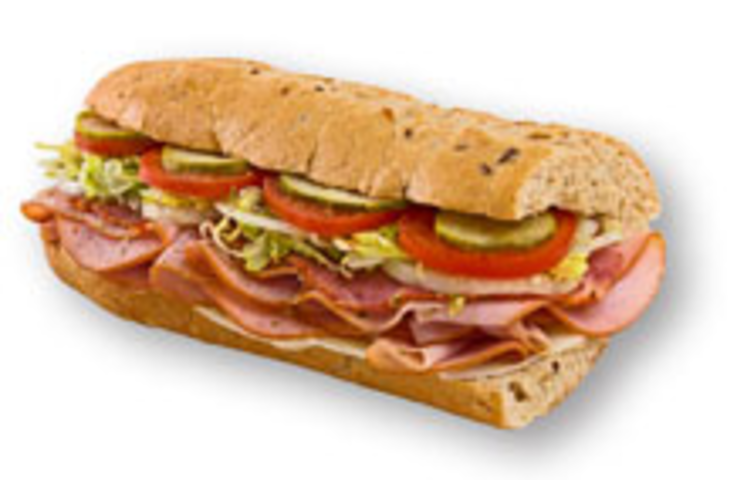 Established franchise opportunity, currently grossing an estimated $354,992 and nets $59,317. Income based on an owner/operator role. Restaurant seats 60 inside. Located in a large, busy shopping plaza with neighboring restaurants, service and recreation businesses. Includes all restaurant equipment. New owner will need to be approved by the landlord and franchisor. Some financing available for buyers who qualify for a revolving credit line through our third party source. Apply Here. What is the current gross revenue for this restaurant? The current gross revenue being generated is estimated at $354,992. How does the restaurant profit? Current profits are generated from the gross revenue, minus food purchases, payroll, supplies, and operating expenses. This will determine your net/cash flow. Can I finance this restaurant? The seller will finance up to $29,900. Terms to be discussed. This business may qualify for a business or SBA loan. If financing is needed for startup cost you can review additional Financing Options Here. What is required in order to qualify for purchase? Typically, most franchise restaurants will have liquidity and net worth requirements (to be determined on an individual basis by franchisor), require the buyer to attend an interview for approval, background check, and in most cases, require you to form an entity such as an LLC or Corporation to purchase. This not only protects the company, but also ensures protection of your business. If you need help forming this, we recommend that you Form A Corporation Here. What are my expenses and overhead for a restaurant business? Expenses will vary for each restaurant owner depending on the type of restaurant, number of employees, and location. Current expenses for this owner include: royalties, payroll, payroll taxes, workers compensation, advertising, supplies, food, utilities, property rental fees, permits and licenses, phone, and liability insurance. Current expenses for this owner are estimated at $506,708 (Note: Expenses represent a cash purchase and do not account for finance payments if requiring a loan to purchase). Is the restaurant property owned or leased? Currently the owner leases the property. New owner must be approved by the landlord. Note: New buyer will sign lease terms with the property owner. Where is the restaurant located? Located in the Greater Houston – Texas region. Physical address will be released to qualified buyers upon execution of an NDA. What type of equipment is included with the sale? Current list of equipment includes: back refrigerated counters, sandwich unit, microwaves (commercial grade), toaster oven, cooler, freezer, baking oven, proofer, bread trays, liners, veggies cutter, tomato cutter, thermometer, bread template, soda fountain, ice machine, POS system, camera security system and furniture. Estimated value is $50,000. How many customers can this restaurant seat? This restaurant is 2100 sq ft, and can seat 60 inside. Does this restaurant currently have a beer or liquor license? No, there is no beer or liquor license included with this sale. Does the restaurant offer drive-thru or delivery service? There is no drive-thru window, but a delivery service is offered. How long has the seller owned the restaurant? Seller has owned this restaurant for 4 years. Why is the owner selling? Owner is pursuing other business opportunities. This restaurant is operated from 10:30am to 8pm Monday – Saturday and 11.00am – 3.00pm on Sunday. Established franchise opportunity. Turnkey and move in ready. Includes the cost of all equipment. Plenty of opportunity to increase revenue. Lenny’s Subs has a great reputation and brand recognition. Priced at $59,900. For additional information and to evaluate this business further Contact Us About This Restaurant Here! Disclaimer: Restaurants For Sale is a Restaurant Broker that brings buyers and sellers together. Restaurants For Sale does not represent, or is not affiliated with the company or franchise being offered. All agreements are made between the buyer and seller and not Restaurants For Sale. It is the prospective Buyer’s duty and obligation to verify the accuracy of the Seller’s representations and if necessary retain attorneys, accountants, business appraisers, or other professionals. The representation of income is based on the efforts of the current owner. As with any business you can make more or less. "I can't thank you enough for helping me get a full price contract on my restaurant I will definitely tell others about your service." "Thank you for your help selling my restaurant. I'm glad to be working with someone who has done this before and knows what they are doing, because I don't know the first thing about selling restaurants. Your fee is well worth it." "Thank you so much. Another franchisee asked how our broker was. I told him how my experience was. He asked if I had it to do over, would I use the same broker, and I said "Absolutely!" "Thanks for the service, having buyers vetted before trying to do business saves so much time and connected me with quality buyers. Thanks again!" "There is no better way to purchase a restaurant than using Restaurants For Sale. Restaurants For Sale knowledge of the industry can't be beat!!" "Thanks for bringing me multiple offers, this is a crazy and exciting time for me and I do appreciate everything that you're doing."